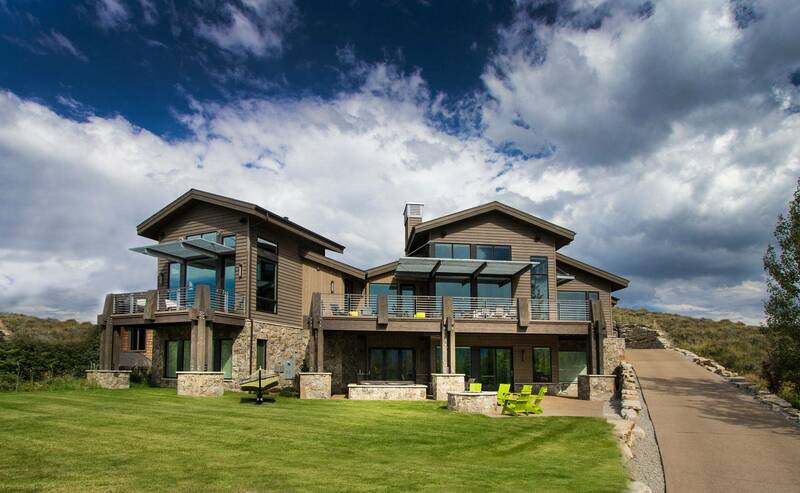 Designed for empty-nesters looking to create a wonderful 7-bedroom home and destination for their children and grandchildren, Fairway Hills offers expansive contemporary style and access to three ski resorts. A custom, 10-foot walnut door opens as a butterfly entrance to a two-story foyer with soaring steel columns. The kosher kitchen is the heart of this home; on one side is a sitting area and breakfast room and on the other is the dining and great room. The master suite exemplifies mountain luxury, featuring sweeping views and a private deck enjoyed every evening. A serene retreat, the master bath features a six-headed shower and a sit-down vanity spanning over 15 feet – all bathed in natural, northern light.